Cale Newton pitches his way out of trouble in the second inning. Unlike at any other time during the season, when the West Orange baseball team took a tough loss on Friday night they were able to go on to spend the rest of the night together working through the cause of some of their struggles. With the team on a Spring Break road road trip down to the Fort Lauderdale area this weekend, it affords the players the chance to spend all their time together and find ways to make them better on the field because of it. Friday night allowed plenty for discussion on a night the Warriors will be eager to quickly erase with their next win, as host Westminster Academy earned a 9-0 shutout over West Orange at DeVos Family Stadium at the Westminster Sports Complex in Fort Lauderdale. Chris Brucks tossed an impressive performance in his second outing of the year, holding West Orange scoreless for seven full innings to earn the complete-game shutout. He scattered two hits and three walks and struck out six. 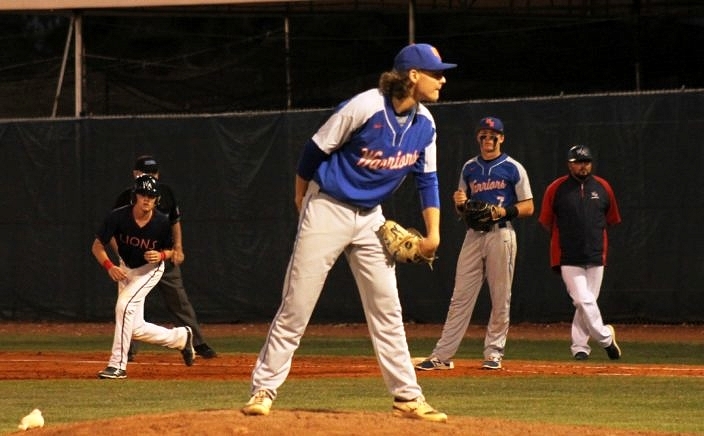 West Orange's Jonathan Russell records a strikeout against Westminster Academy. While certainly not the sort of start the club was looking for to begin its trip together, it now may serve as a defining moment in which a new group unified and rallied together. Manager Graig Smith is in his first year at the helm, and all three of his assistants are also all new. The club also replaced as many as 11 starters from a season ago. The Lions exploded right out of the chute to keep their offensive trend going with five runs in the bottom of the first. Westminster put runners on base in every frame, every starter reached base and the batters seemed to find their best swings with runners in scoring position in key moments. Westminster batted around the order and sent 11 hitters to the plate to go ahead 5-0 in the first. After connecting for four hits in the first, the Lions were patient in the second and scored two runs on a hit batter and a walk, both with the bases loaded. The Lions (7-5) added two more runs in the fourth to close out the scoring. Meanwhile, the Warriors were unsuccessful in stringing much offense together. Senior center fielder Rafael Gutierrez accounted for both of the club’s hits, as he went 2-for-2 with a double and a walk. 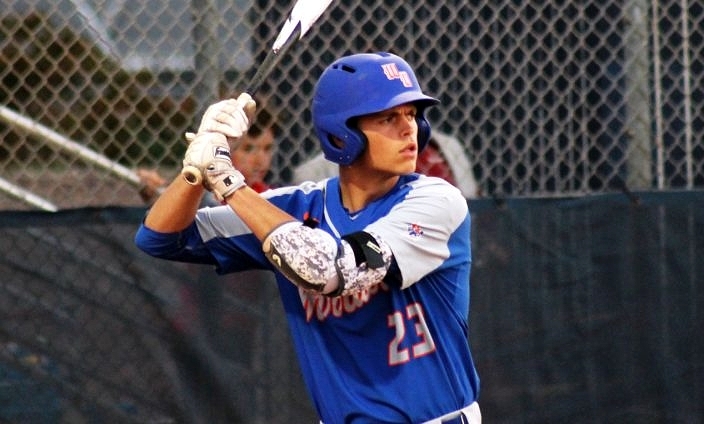 West Orange (4-6) had its best scoring opportunity in the second, after Gutierrez and catcher Tanner Wood both walked. But Rucks responded with a strikeout and an infield ground out to quell that threat. Rafael Gutierrez was 2-for-2 with a double and a walk. The best news is that the club wastes no time in getting back out to the baseball field to try and erase the memory of that tough loss with a victory. The Warriors travel to face the Calvary Christian Eagles Saturday afternoon, another challenging test against a club that has been to the past two state Final Fours and won the 2016 4A state championship. “We have a lot of seniors in the group but a lot of new guys as well, so on a Spring Break trip the real big focus is winning baseball games and getting into that unity going into the stretch run for us in the district,” Smith said.